The Case IH Vision Lift front end loader offers a safe, strong, and reliable engineering innovation to any farm. Engineered in Australia especially for local conditions the front end loaders have wiring, hydraulic hoses and self levelling linkage inside the loader boom which gives extra visibility. The use of high gauge 40mm pins allows for vision and style to be maximised and these pins have an easy access to greasing points. It is hihly recommended to grease the Vision Lift front end loader on a regular basis to ensure it remains in good working order. 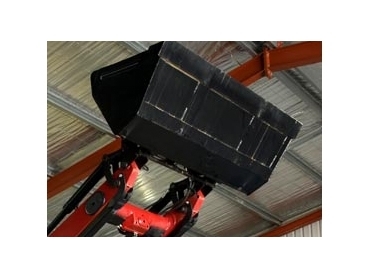 The hydraulic hoses and wiring harness which run through customised chutes makes sure the loader remains clear and unclustered and makes the model easier to use. Also important is the cross bar between the two loader arms. The loaders are engineered with extra strength through the cross bar which is protected by a heavy duty polyethylene cover.